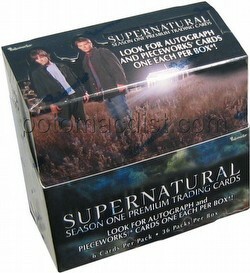 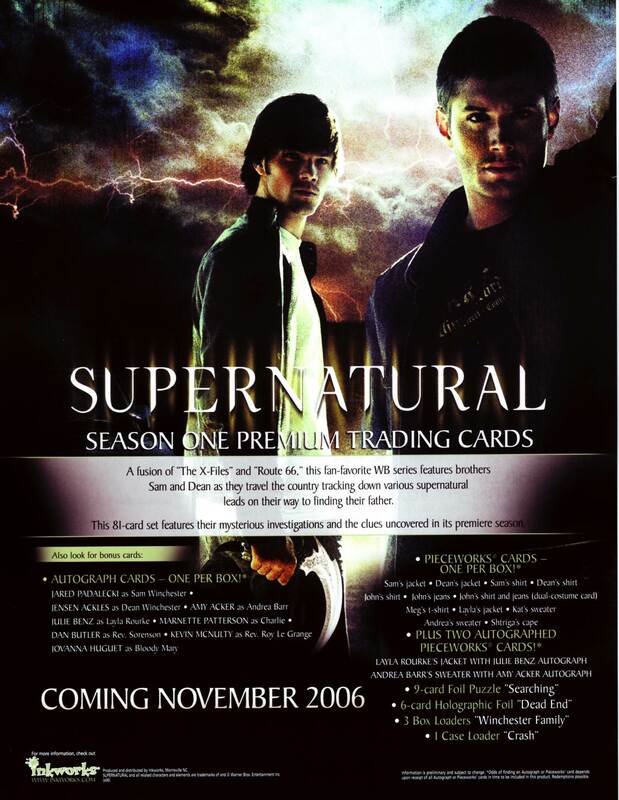 Insert cards for Supernatural Season One include Autograph cards (featuring Jared Padalecki as Sam, Jensen Ackles as Dean, and many others), Pieceworks cards, a 9-card "Searching" Foil Puzzle set, a 6-card "Dead End" holographic foil set, 3 different "Winchester Family" Box Topper cards (included at a rate of 1 card per box), and a "Crash" Case Topper card (inserted at a rate of 1 card per sealed case). 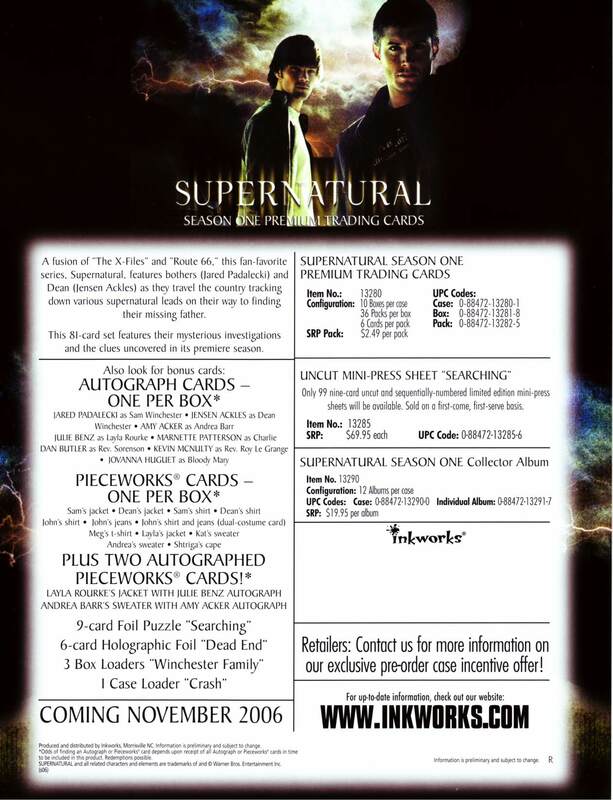 There will also be 2 special autographed Pieceworks cards featuring Julie Benz as Layla Rourke and Amy Acker as Andrea Barr randomly inserted. Customers pre-ordering 20 boxes (2 cases) will also receive one of two free limited edition Puzzle Pieceworks cards containing a show-worn jacket by Jensen Ackles as Dean Winchester or Jared Padelecki as Sam Winchester.